3. Use of the Services; Restrictions. ●	attempt to, or permit or encourage any third party to, do any of the above. 6. 3rd Party/Linked Services/Sent information. 8. Feedback. ?If you choose to provide input and suggestions regarding the Services, including related to any Uoolu Materials (“Feedback”), then you hereby grant Uoolu an unrestricted, perpetual, irrevocable, non-exclusive, fully-paid, royalty-free right to use the Feedback in any manner and for any purpose, including the improve the Services or create other products and services. At Uoolu, we appreciate your use of and contributions to our websites, our mobile and desktop applications, our other properties and/or our related services (collectively known as the "Services," or, each individually, a "Service"). Uoolu respects your privacy and is committed to protecting your personal information.
? how to contact us.
? information you provide to us through our service centre, customer surveys or visits by our representatives from time to time. We may also collect anonymous data (which is not personal information) relating to your activity on our websites (including IP addresses) via cookies, or we may collect information from you in response to a survey. We generally use this information to report statistics, analyse trends, administer our services, diagnose problems and target and improve the quality of our products and services. To the extent this information does not constitute personal information because it does not identify you or anyone else, we may use this information for any purpose and by any means whatsoever.
? data sharing between our related bodies corporate, partnerships and joint venture entities.
? through someone else who has provided us with your information (e.g. a real estate agent or a friend referral).
? as required or permitted by any law (including the Privacy Act).
? we may be unable to tailor the content of our network to your preferences and your experience of our network may not be as enjoyable or useful. In addition, at any time, you may opt-out of receiving marketing communications from us by contacting us (details below) or by using the opt-out facilities provided (e.g.an unsubscribe link). We will then ensure that your name is removed from our mailing list. We do not provide your personal information to other organisations for the purpose of direct marketing unless expressly authorised by you. You may request access to any personal information we hold about you at any time. Where we hold information that you are entitled to access, we will try and provide you with suitable means of accessing it (for example, by mailing or emailing it to you). We will not charge for simply making a request and will not charge for making any corrections to your personal information. If you make an access request, we will ask you to verify your identity. There may be instances where we cannot grant you access to the personal information we hold. For example, we may need to refuse access if granting access would interfere with the privacy of others, or if it would result in a breach of confidentiality. If that happens, we will give you written reasons for any refusal. Your personal data will be retained as long as necessary to provide you with the services and products requested. Once you have deleted your account or otherwise ended your relationship with us, we will remove your personal data from our systems and records and/or take steps to properly anonymise it so that you can no longer be identified from it (unless we need to keep your information to comply with legal or regulatory obligations to which Uoolu is subject e.g. taxation purposes). Personal data will in principle be deleted 10 years after the last interaction and business contact between you and Uoolu. However, we will retain your contact details and interests in our products or services for a longer period of time if Uoolu is allowed to send you marketing materials. Also, we typically delete contracts, communications, and business letters, including any personal data contained therein, 10 years after their termination or creation, as such data may be subject to statutory retention requirements, which often require retention of up to 10 years. Uoolu provides a service which operates and manages property by cooperate with third party, include leasing service and value added service. b. Report Income and expenditure of rent at regular intervals. 4. Choice of law, dispute. According to Chinese relevant law, Uoolu has a complete trademark, patent, web page copyright and other intellectual property rights. Any infringement and counterfeiting behavior of our intellectual property rights for unfair competition, Uoolu reserves the right to pursue its legal responsibility. If customers find that there are individuals or companies counterfeiting Uoolu for unfair competition, you can report them by calling our national customer complaint hotline 400 666 2316 or sending an email to [email protected] Uoolu will process the report as soon as possible after receiving it, and we will reward for the effective reporting. There is a unified official website for Uoolu to publish company information, real estate information, questions&answers and news. Users can directly query the information of properties and relevant information of real estate transactions from the official website. 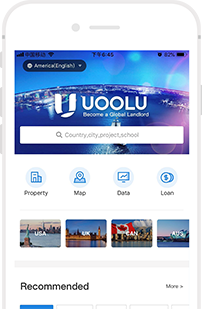 Uoolu has developed an APP software which is convenient for Chinese to invest in overseas real estate. Users can directly query the information of properties, pay down payment online, apply for loans and housing trust(rental or sale), learn relevant developments in real estate transactions, and communicate one-on-one with our consultants. 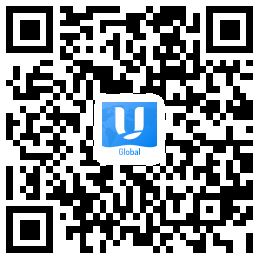 The above is the solemn statement of official website and APP from Beijing Uoolu Advance Technology Limited Company. We hope that customers can identify Beijing Uoolu Advance Technology Limited Company accurately.